Advance Deposits can be created in POS to be used for activities. This Knowledgebase Article covers how to create an Advance Deposit in POS and how to apply it to a check in POS. 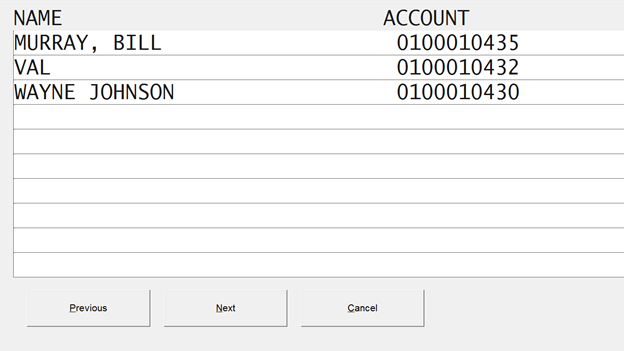 Create a new check in POS and choose the ACTIVITY DEPOSIT item from the menu. Enter the amount of the deposit at the Unit Price prompt. Click the TOTAL button to apply the payment for the deposit. Process the payment, per normal procedure. Guest Name – Type the name of the guest the deposit is for, in LAST NAME, FIRST NAME format. Reservation Date – Type the date of the activity reservation OR use the Calendar look up button to find the date. Number of People – Type the number of people the reservation is for. Verify that the information is correct and click Yes to continue. This completes the Activity Deposit creation process. At the TOTAL screen, choose the ACTIVITY DEPOSIT payment type. At the prompt, enter the Account Number for the Activity Deposit. Note: If you do not know the Account Number, you can perform a look-up by typing "L" at the prompt. Type LAST NAME, FIRST NAME in the look up screen. Choose the Name/Account from the list. Verify the information about the deposit and click OK. Enter the Tip Amount, if applicable. Enter the Amount to Pay from the deposit. To use the full deposit amount, click OK.
For setup instructions see Activities Deposits POS Setup.